The 7th Doctor (Sylvester McCoy), Ace (Sophie Aldred) & Mel (Bonnie Langford) continue their new adventures together. The Doctor decides to stop off somewhere to take care of something. As it’ll only take a little while there is no need for the companions to come with him. Of course Ace doesn’t buy this and it turns out for good reason. The Doctor’s business involves the Silurians and soon they are all involved in the eternal struggle between the Earths original owners and the human race. But this time, the Silurians have an inside man. This is a very well structured story. It takes it’s time in the first episode to set the scene; but does so without feeling like it’s just setting things up. Then once it gets into the meat of the story it’s generally really well paced. The themes put in around the plot are really strong and well balanced too. The way Ace is trying to make sure the Doctor is doing the right thing and what is best for mankind and Mel wants to know that the Doctor’s hearts are as good as she imagines them too be. Both want to know the Doctor is good and working for what they see as the right thing, but they come at it from a very different angle and this is really interesting. As well as having some resolution within this story it also sets up for these themes to continue in future stories and I hope they do. For Mel she gets to discover her place in things now she is back with the Doctor. For Ace it adds depth to how we know her relationship with the Doctor evolves in stories set later in their timeline. There is a really nice bit in the extra’s where Sophie Aldred tries to place this story in their timeline and it really shows she thinks about where this is placed and what configuration of their relationship we are dealing with and how that will inform her performance. 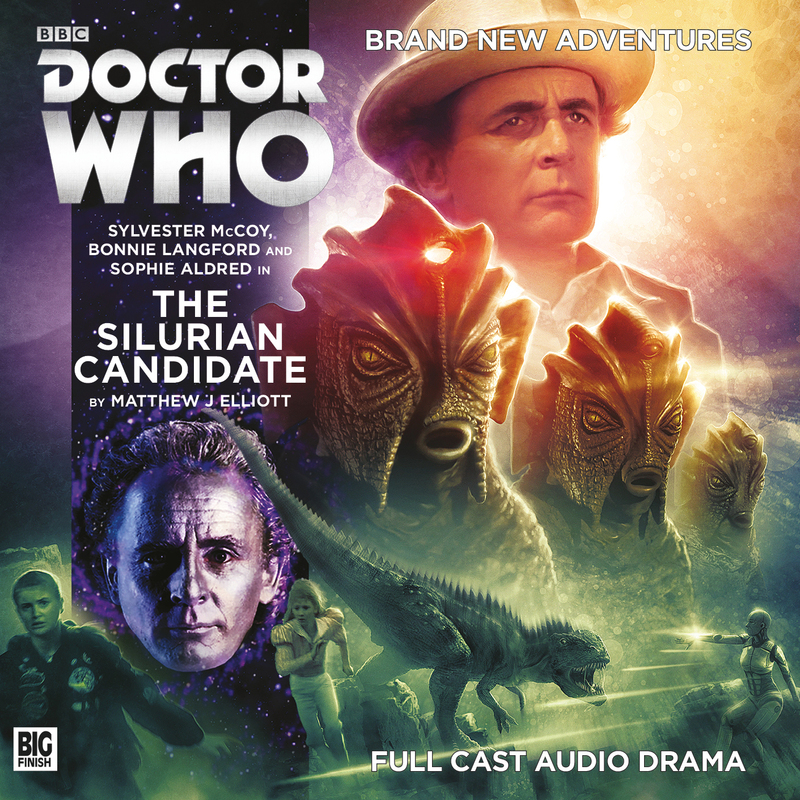 It’s also nice to hear the classic series Silurians in this story. Nicholas Briggs shows his love for this race and getting the sound right in his portrayal of the Silurian he plays and apparently he crafted the sound of the race for audio with the cast.